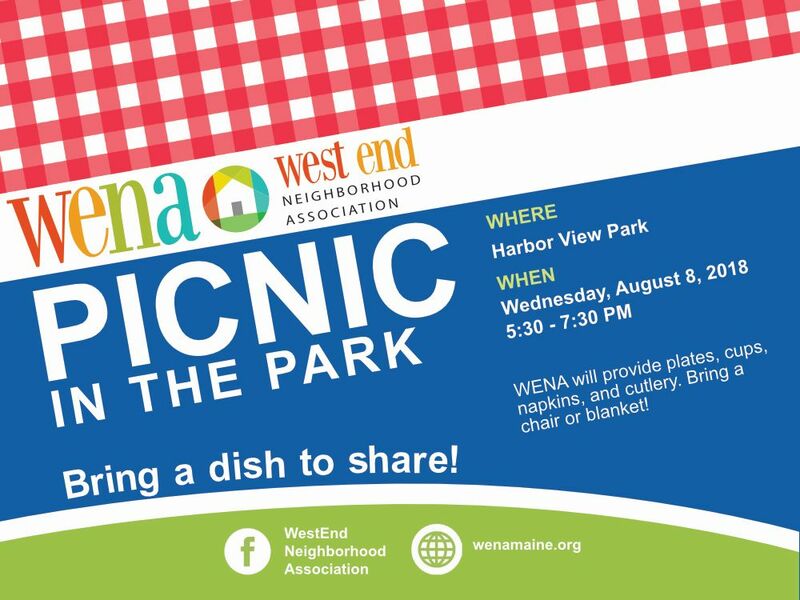 Join your neighbors on Wednesday, August 8th, 2018 at 5:30PM in Harbor View Park for WENA’s annual Picnic in the Park! Please bring a favorite dish to share with the group. WENA will provide plates, cups, napkins, and cutlery. If you would like, please bring a chair or blanket to sit on.